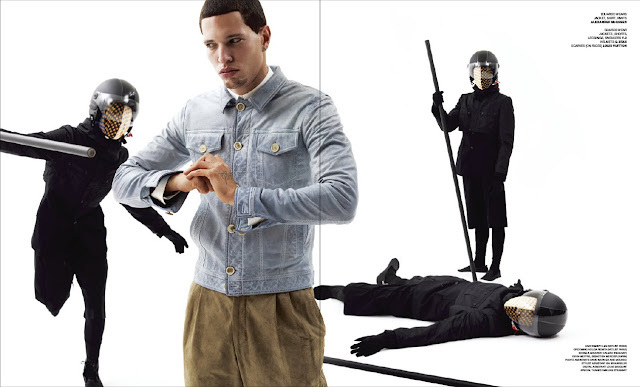 Here is another editorial preview from VMAN MAGAZINE ISSUE #17. It features up and coming male model Eduardo Calero. Beware of the boring! 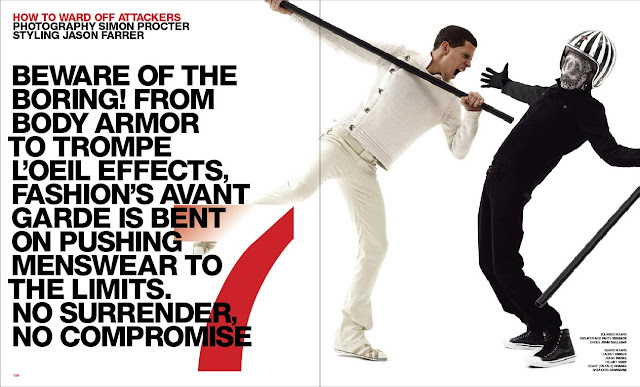 From the body armor to Trompe L’Oeil effects, fashion’s avant-garde is bent on pushing menswear to the limits. No surrender, no compromise.